This is Mariko from Sister Stamps, colored up in Copic markers and cut out with a Spellbinders Circle die. She's perfect for any celebration, and since I've been doing so many Christmas theme projects, it was nice to do a birthday card! 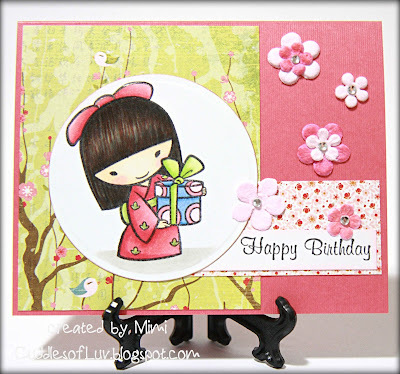 Papers are Basic Grey Konichiwa, and stamped a Amy R Birthday sentiment. Added a few Recollections flowers and gems. Hop on over to the ATS Challenge blog to see more from the team! Just follow the simple rules for your chance at an awesome prize! 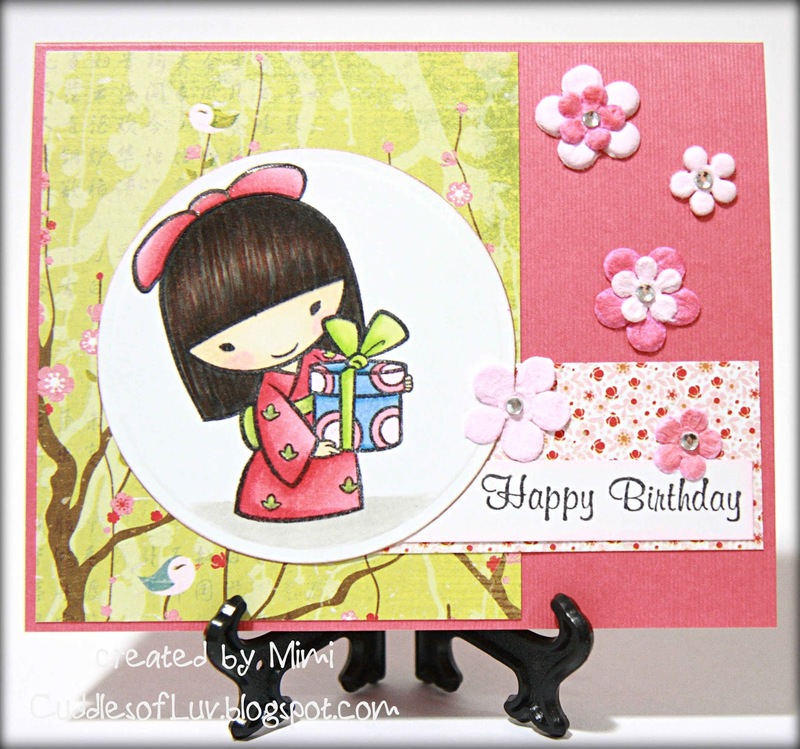 Aww, she's a cutie and perfect for a birthday card. Great layout and fun papers too Mimi! 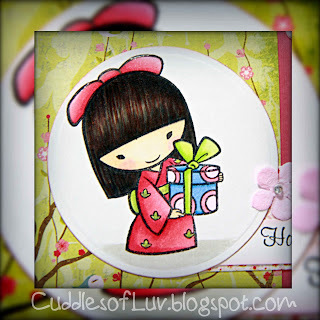 Adorable image and card. Your coloring looks great! Sweet and adorable and that Asian DP is gorgeous. So cute! Love the soft colors!